Consumers notice the quality and clarity of their bags. 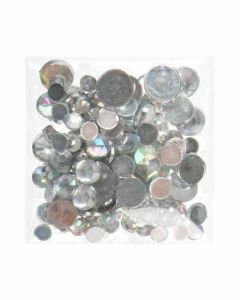 Our Crystal Clear Bags® are the most transparent, clean, and affordable in the industry. 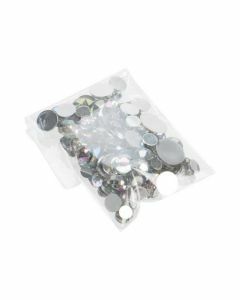 Made of only the highest quality plastics, we make all types of clear bags, including flap seal bags, gusset bags, zipper bags, retail bags, premium bags and more. Our clear bags come in all shapes and sizes. Check out our inventory below to learn more. 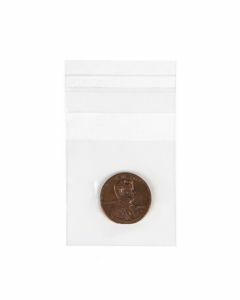 Our B1X1 measures 1 5/8" x 1 1/2", making it an ideal bag for 1 x 1 inch stamps, coins or other smaller flat products up to about 1 1/4 square. These bags are 1.6 mil thick and feature optimal clarity and durability. Adhesive strip is on the flap of the bag. Made from acid free, archival safe BOPP. Our crystal clear hanging bags create an eye-catching retail display. 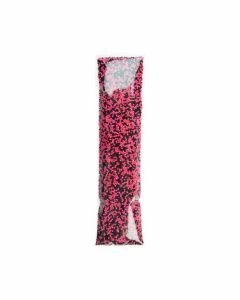 The HB1X8XL bag measures 1 3/4" x 8" and works great for packaging jewelry, art supplies, crafts, and toys. This bag loads from the bottom and has a delta hole for an easy retail display. The adhesive seal on the bottom flap provides a secure closure. Food safe. 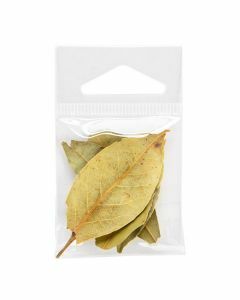 Crystal clear flap seal bags offer an easy way to retail smaller items. The B1X4XL bag measures 1 7/8" x 4 3/4" and is ideal for a 1 3/4" x 4 3/4" flat paper product. 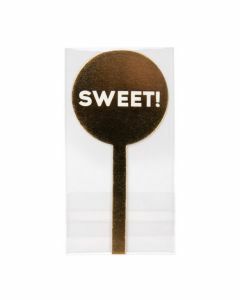 This resealable poly bag is flexible for many items like candy, beads, buttons, crafts, cosmetics, and gifts. 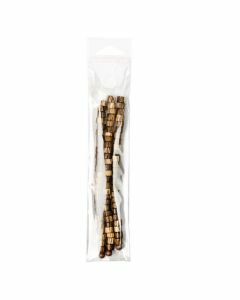 The resealable adhesive allows you to adjust the length for smaller products. The B1X2XL makes an ideal bag for packaging crafts, buttons, beads, pins, candy, and more. This flap seal bag measures 1 15/16" x 2 3/4" and fits a 1 3/4" x 2 3/4" product. 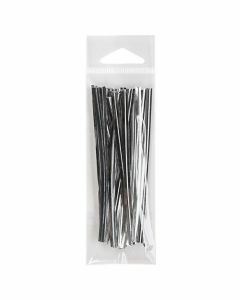 The resealable adhesive is on the bag flap and allows you to customize the bag length as needed for a secure fit of your product. Food safe. Smaller products are kept well-protected in our crystal clear flap seal bags. The B2X2E bag measures 2" x 2" and has a self-adhesive fold-over flap to keep your items secure. 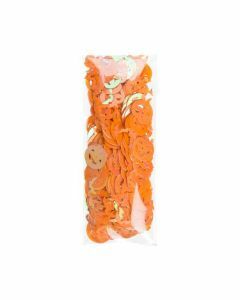 This bag is ideal for 1 3/4" flat square product or smaller items such as candies, crafts, keepsakes, jewelry, and more. Archival safe.